Having regard to the expectations of our customers, we offer an exclusive case for your phone Sony Xperia XZ F8331. 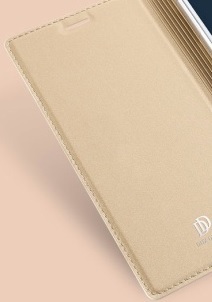 Diskonałej quality PU leather is fairly and accurately converted into high quality case. The manufacturer cares very much about the details. Magnetic clasp makes the case it is very convenient to use. If you have excellent quality phone that is exclusive, because for this type of device can not be used ordinary made of plastic film covers. Exclusive phone requires an exclusive case. You've come so perfectly. Case is offered in a carton.